Home / Grooming / Best Brush for Australian Shepherd. How to brush an Aussie? 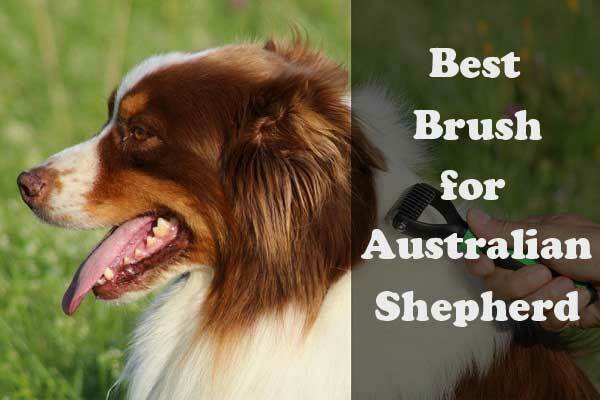 Best Brush for Australian Shepherd. How to brush an Aussie? What is the best brush for Australian Shepherd? The Australian Shepherd is a breed known for loving being somewhere outside and exploring the beauty of the world. As every other dog, the Australian shepherd adores to roll in the mud, and pile of leaves, as they stick to the coat and are real struggle for some owners to remove them. The best solution to such problem is regular grooming. Another name for the breed is “Aussie”, as the home name is a true mystery. 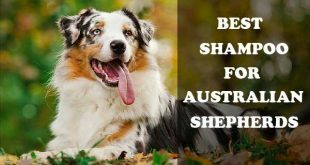 A lot of people actually do not know that the Australian shepherd does not come from Australia. In fact, the breed was first registered in the western parts of the US, in the years of gold rush. The breed was used to protect and watch over cattle. Nowadays, those awesome dogs can be the perfect addition to your family, and if you give them enough exercises and adoration, this dog will give you unconditional love and loyalty. The breed is known to be extremely social and energetic. The breed is the ideal choice for people who like to explore and go outdoors. The energy and enthusiasm of those dogs will make your normal walk a whole adventure. The coat of the breed is known to be double-layered, plush, as the length is medium and the coloring very distinctive, as the variety of marvelous merle patters in huge. Originally, the coat used to help the dog survive the changeable climate. But now, as the dog became a family member, the struggle with maintaining it is real. A well-known fact is that if your furry buddy has a double coat, you need to use more than one tool in order to remain a good looking hair. Because of the double-layered coat, the undercoat is fluffy, whereas the upper one is soft. That’s why you should prepare yourself and purchase variety of tools that will do a great job with both layers. All of those tools mentioned previously are definitely a must haves, as you are meeting with stuck leaves, debris, dirt and dust on a daily basis. The steel comb is a tool that will help you remove all those stuck in the coat filths. 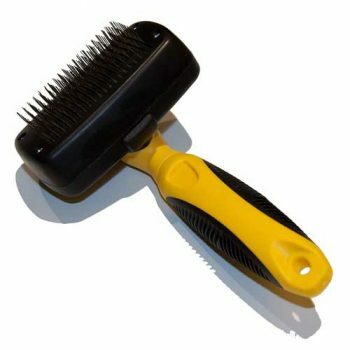 To remove the undercoat and any dead hair, you can use the stripping comb, as for shedding hair and mats the bent wire teeth of the slicker brush will do the job just fine. If your dog has a long hair, you can purchase a pin brush as well. If keeping your dog’s coat fresh and healthy is your priority, then regular brushing should be one of your top activities. Brushing stimulates the production of natural oils, removes dead hair, as it also makes the coat look shiny and put together. If you are tired of seeing your dog’s undercoat matting, then brushing is the best answer. One big negative of the double coat is the huge shedding. This process is completely natural, as it goes with fall out of dead hair, which is replaced by new one. The shedding can vary depending on the climatic changes, the seasons, as the breed sheds the most in the spring or early summer. If you are committed to take a good care of your dog’s coat and do it regularly, then you won’t meet any problems in the future, as the whole process will be easy and effortless. it is very important to never neglect it, as once you do it, the coat will get in very bad condition. When it comes to shaving, everything is up to the owner and his personal preference. Some people like to do it in the summer in order to keep their buddies cool and refreshed. Others, in other hand, choose the easy way, as they remove the coat, so that way the maintaining is easier, or if there were deeply stuck mats. A negative side of shaving your dog’s coat is that you leave it unprotected from the sunlight and potential sunburns. Doing so can be harmful, especially for merle-colored dogs. Never brush the coat if it is dry, as this can lead to hair damage and breakage. That’s why, getting a spraying bottle is necessary. Spraying plain water or coat conditioner diluted with water will protect the coat and make the whole process way easier and painless. 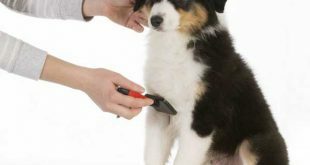 An advice given by professional groomers and breeders is to start brushing from the top of the body- head, face, ears, neck as you go down to the front legs. You should brush the other part of the body with a long stroke, as you start again from the head all the way to the edge of the tail. Continue with brushing the sides, as you finish with the rear legs. Do not brush backwards, which means doing it against the direction of hair growth, as this can make the dog feel annoyed and uncomfortable, and you also have a big chance to damage the fur. It is very important to know that you should brush both upper and undercoat and down to the skin. If you brush only the uppercoat, there is a big chance of getting mats stuck into the coat, which can also cause tangles, as they will be extremely difficult to be removed. 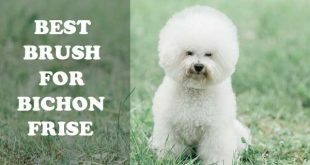 This will result in painful experience for your dog once it is time for a bath, as the moisture gets trapped near the skin when a matted fur gets wet. This whole nightmare can lead to raw and inflamed moist circular lesions, or also called hot spots. A part of the hair on the male Australian Shepherd has a lot of feathering- the elbow to the pastern area on the legs. This feathering is a problem for many owners, as they often become a shelter of all kinds of dirt. It is recommended for you to brush this area, if you want to avoid unwanted coat damage and painful mats. Another tricky area is the soft fuzzy hair behind the ears, as this place is also desired destination by mats. Keeping this area brushed and cleaned will guarantee for healthy fur. You can also thin this fuzzy hair, as this will put an end to all the potential matting that can occur at your Aussie’s coat. It is necessary for you to be aware that the breed has a sensitive skin, as you need to be remarkably gentle when you are brushing it. Do not try to pull or tug, as this can cause pain. The best advice is to brush from the skin out, as you separated the hair to sections. If you are not working delicate, there is a chance of forming slicker burn, which refers to welts, scratches and nicks. Do not use slicker brushes when you brush the skin. If you are all about that glossy looking coat, you can give your dog a nice 5-minute brush once a day, as this will minimalize the shedding. If you don’t have enough time to do this, then you should do a long brushing session at least once a week. After you are done with the brushing, to make the coat look even more sleek, you can use some coat oil or specially designed coat dressing. Such products will help you remain a healthy fur, as the debris that can stuck into the coat will be kept away. Now, it is time to present the best choices for brushes that can be used specially for Aussie. The first place in the list gets the slicker brush, as this tool is recommended by many professional groomers and thought to be the most necessary one. A lot of owners can find it hard to memorize all the brushes sold on the market. 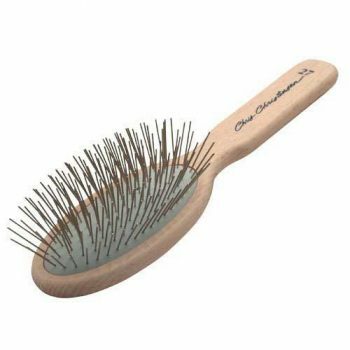 The slicker brush has a flat form, as it has many fine wires and it is a paddle- like one. The brush is made to following the direction of the hair, as it goes directly over the uppercoat of the dog. The fine wires are included in order to go over the coat and remove the loose hair. Another benefit of the slicker brush is that it can be used to untangle small tangles and knots. A lot of Australian shepherd’s owners recommend the brush, because it helps with removing the dead hair in the undercoat, which prevents many potential tangles that can occur, because of the long outer hair. That’s why this brush is a necessary tool. Try to use it as often as possible, in order to maintain a good looking coat and get rid of the annoying shed hair. Although the many advantages, there is one main disadvantage here, which is the metal wires. When you use the brush, try to be as gentle as possible, as the metal wires can lead to irritation, because you use it with too much force, as you scratch the skin. But once you get the technique, it will be no problem for you to use it without applying a lot of pressure. This product is perfect for every dog and cat, as Aussies make no exception. Judging by the left reviews and comments, this slicker brush is one of the best on the market right now, as it is loved by many. The brush catches all of the dead hairs from your dog’s coat, which makes it perfect for every owner that is tired of cleaning the house of fur. 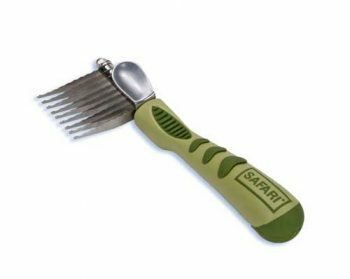 Although, many Australian Shepherd dogs do not have problems with tangles and mats, this brush can be used to remove them, which is a great advantage. The best thing is that once you purchase it, you have a 10-year warranty period, as you can also turn it back and get you money, if you are not satisfied. For starters, the brush is a high quality one, as it has a durable design, that will last you for ages. This is definitely something to lean on, as there are many brushes on the market that broke after some time of usage. In order to guarantee that the product really is amazing, the manufacturer offers one-year warranty. The tool is very cleverly made, as one of the best touches is the auto- clean button. This feature is a great addition, which will save you time. As you click the button, the metal pins retract, which makes the picking of the hair quick and easy. 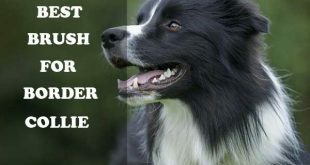 This is a great advantage, as every Aussie owner knows that once they finish brushing the coat, a lot of fur falls of, which makes a mess. This feature makes the whole process of collecting the dead hair way easier and painless. With only one click of the button, you will save plenty of time. 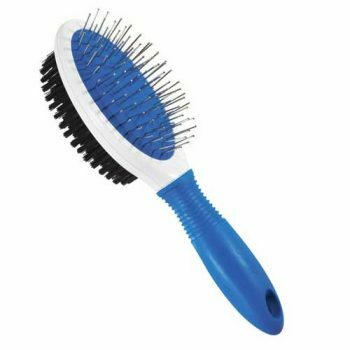 Another great thing about the brush is its quality wires, that are made with precise degree of flexibility, which means you can brush the coat without being worried of scratching the skin too harsh or making the catching of the tangles painful for the dog. The brush is perfect for removing shed hair, untangle teasels and tangles, and soften the coat after a grooming, as you use a pin brush for the final touches. Pet Republique announced that 15% of the cost of every slicker brush will be donated to the American Animal Rescue Society. Now you know that your money will be well spent and a part of them will go for a good cause. The brush will deliver amazing results and always keep your dog’s coat sleek looking. Next in the list is another great product that is known for being ultra-lightweight. The Chris Christensen pin brush will guarantee for good looking and well maintained coat. 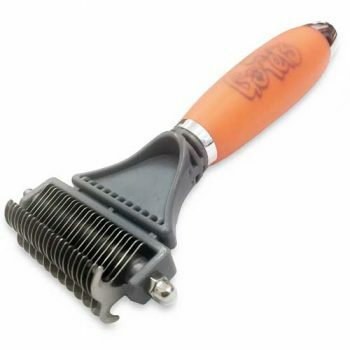 The brush receives a big credit from many owners, because of its high quality and durable design. The brush is made of solid beech wood hand, making it steady and lightweight. With this brush, your dog will get the best looking coat, thanks to the high quality stainless steel pins with precise tips. The tool is manufactured in Germany, which suggests that it is precisely made and follows all the standards. The production company tried its best to create a brush that will resist all the challenges you put it through. The toughness of the brush is perfect for the thick coat of St. Bernards, German shepherd, Collie and Australian shepherd. One major question that many owners think about is how to choose between a pin and a slicker brush. Both brushes have similar action, but definitely minor variations. The major difference between them is that the pin brush lifts away the shed hair, as it also helps to realign the coat, whereas the slicker one removes the shed hair and tangles. A lot of people prefer the pin brush, as it gives the results we want for our hair- smoothing and separating it. Another factor why many prefer the pin brush is because of its gentle working, as it can reach the depths of the coat without snagging the fur. Overall, the pin brush is great for all the people that are looking for a tool that will smoothen the coat, but also effectively remove all the tangles. Combs are an essential part when it comes to keeping your Australian shepherd healthy and good looking. Do not underestimate the power of the combs, as they are important part of the grooming process. They are used to make the coat free of tangles in the best way possible. The best way to understand its importance is to look it as a tool used to maintain your own hair. People with long hair are familiar with the tangles, as they remove them with separating the stands and brush the surface down till it gets smooth. As humans, Australian shepherd also have long hair- their outer coat. That’s why using combs is much needed. There are places on the dog’s body that have hair rubbing against hair, which leads to knots. Such places are between the back legs, in the armpits, and behind the ears. The best way to put an end to the tangles is to combing through after exercise. One comb that does not cost much can prevent many unpleasant outcomes. This is a set that contains two combs, as one of them is a small and the other is a large one. Each of them has two different gauge halves. This is a great set, that can be used for larger areas, like the breeches, because of the wider gauge, and tighter places like behind the ears, thanks to the narrower gauge. The handle of the comb is rubberized, as this makes it perfect for arthritic hands to grip onto. The best think is that the tool is inexpensive, which makes it perfect for everyone’s budget. Another much needed tool in order to maintain the coat of your Aussie is a deshedding one. A great advantage of this product is if it is used frequently, it will remove all the shed hair, but also get rid of all the fur balls that collect in the corners of the lounge room. Every cat and dog owner knows how hard is to put up with excessive hair. You can forget about all of those tangles and mats you got used to, thanks to the GoPets dematting comb. You can use the tool to detangle and dashed your dog’s coat. 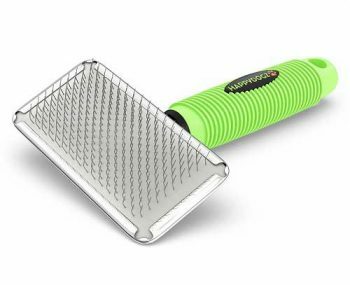 The blades are made of sharp stainless steel, as this will make cutting the tangles and mats super easy and fast, without pulling the hair out. The skin won’t be irritated or scratched, because of the dull rounded ends of each tooth. A part of the money for the product goes to no- kill shelters and animal charities, so that you know you spent your money for a great product and amazing cause. 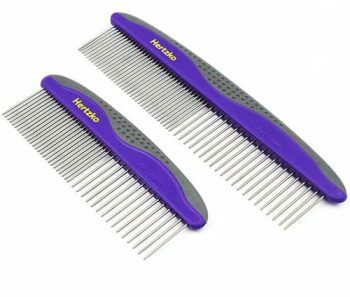 This comb is ideal for everyone that looks for a good comb on a budget. It does the job perfectly, as it removes all the tangles and knots. It is a reliable product that will be a loyal assistant to your battle with all the tangles. A great plus is that it works gentle and efficient no matter the length of the hair. A lot of professional groomers adore this product and strongly recommend it. For the best results, always remember to use it on the direction of the hair growth. The design makes its usage way more pleasant and professionally looking. Many people prefer getting a multi-functional tools, as they save money and space. Using this product, you won’t worry about scratching your dog’s skin, because of the rounded tips of the pins, as they are also covered in a soft rubber cushion. With this cushion, the brushing is more pleasant and comfortable for both of you. The brush is double sided, as you can work those tangles however you prefer, as after that you can smooth the fur with the bristle side, which also removes the shed hair. The only disadvantage you will meet is getting the pins dislodged and loose after some time, because they are only anchored into that rubber cushion. Some people may find the bristle side a bit confusing, as dislodging the dead hair can be tricky. But everything comes to a good end, once you find the right way to use it. The price is competitive, which is another good bonus. Some dogs get extremely stressed out when it comes to grooming and brushing. The reason might be that they are not used to it, as it gives it the feeling it is being licked by other dog. A nice way to get the stress away is using a tool that will show the dog there is nothing to worry about and all it need to do is relax. That’s why Zoom Groom steps in. It is made to improve the condition of the coat, but it is not able to get rid of tangles and knots. The product is not all in one, as it does only a part of the grooming process. 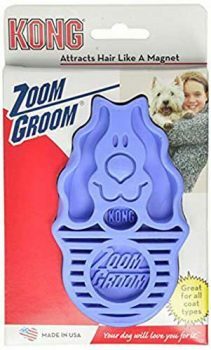 Zoom Groom works like a magnet to iron filings, as this became a new trend among the owners that wanted to try new methods of removing the shed hair. The shed hair is gripped by rubber teeth, as it is dragged out of the coat. You can also use the tool to clean your carpet or soft furniture from the shed hair. Using this tool, you will give your dog an enjoyable massage, as you will also stimulate the blood circulation and the distribution of natural oils, which will make the coat looking more smooth and healthy. The tool won’t snag or break the hair, but will soften it. The Australian shepherd breed is amazing due to many factors, but the trademark coat is one of a kind. If you want to give the best to your dog, maintaining its fur will be one of the best steps to show your love to it. A daily brush will make its coat look fascinating and built an amazing relationship between you too. In order to avoid unpleasant outcomes, focus on removing tangles, as if you don’t pay attention they can turn into knots, which will stop the production of natural oils. The brushing is one great way to make you and your dog feel better. You won’t need to go all around your house, vacuuming everything, in order to remove all the shed hair that fell off your dog’s coat. You really need to be patient and dedicated, because a dog is a huge responsibility. The whole process is way easier with the right equipment. Always have brushes to collect the shed hair, detangle all the knots, and one to make the coat soft and smooth. You can always be extra and get all of those tools listed previously, but it is all up to you how you will take care of the situation. The health of your dog should be your biggest priority, that’s why don’t be scared of investing in the right tools and methods.